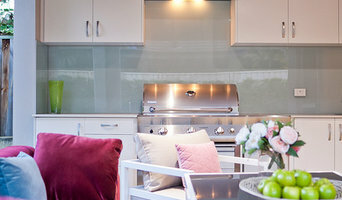 With over 100 properties staged in Perth, The Stage House Co provides a superior & unique Design & Home Styling service. With over 18 years experience in renovations, design & property staging, our primary focus is in "staging to sell" for the highest return on investment in the quickest possible time. Our services include a complimentary site visit to determine the brief as well as interior design advice prior to the property going to market. We specialise in all sized projects and budgets in and around Perth. 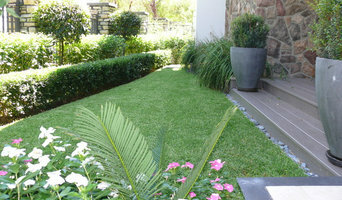 As a qualified Landscape Designer my passion is to turn your outdoor areas into beautiful uniquely designed spaces to suit your needs, style and budget. From consultation to concept design, I can see your project through from start to finish to ensure that your garden becomes a year-round asset to enjoy! Mondo Exclusive Homes is a Custom Home Builder in Perth, WA. We are a full-service design and build company with a wide range of experience. Tascone Design is an all-encompassing Building Design and Interior Design Firm located in Perth, Western Australia, founded by Mario Tascone in 1987. With over 30 years’ experience, we are creating innovative, new design trends using a combination of youth and experience amongst our team. We create homes and buildings that are individual and practical, with a focus on meeting your personal budget and living requirements. We utilise a broad range of architectural styles to create exciting and unique buildings of excellence. A special feature of Tascone Design is that we offer complimentary Building Broker services. This means we coordinate all aspects of your build, including all the consultants and documentation you will need for council approvals. We then go to tender with a range of quotes provided by Perth’s best building companies. We are a true one-stop-shop! We are proud of our designs, and feel privileged to work alongside our clients to create their dream home. The process begins by establishing a design brief, then creating concept sketch designs before moving on to final drawings – we can even create a 3D model you can walk through! Our service also includes providing a finished turnkey home, complete with interior design assistance. We offer a no pressure, no obligation free quote. We welcome you to contact us with any inquiries you may have and are always happy to chat! Awards and Achievements: Tascone Design was the very first winner of the WA Building Design Awards in 1993, and went on to win nationally in 2002, 2005, 2007, 2009, 2010 and 2012. He has also won many categories in the WA Building Design Awards, including Single Residence, Industrial Building Design and Multi Residential in 2008, 2009 and 2011. In 2015 he won both Best Commercial Interiors and Best Commercial Alterations/additions. The Town of Claremont awarded Tascone Design with the Civic Design Award for Additions to Heritage Places in 2016. His awards span many categories, both locally and nationally around Australia, with a total of 32. Averaging an award for each year the business has been operating. Most recently, he won the BDAWA Commendation and People’s Choice award for Best New Residential Design two years in a row (2017 & 2018). At Dalecki Design, we aren't your average Perth Building Designer. We understand that you are the one who has to live in your home every day. You wake up in it, entertain in it, relax in it and sleep in it. So, like a good pair of jeans, it has to fit you and your way of living perfectly. We take the time to listen to each of our clients so we can understand every individual’s unique requirements. This way, we can be sure that when we create a custom home design, we know that it will be the perfect fit for you. Unlike the others, our comprehensive service offering takes you through every single step of the process, from the initial design brief to on site design administration. We ensure every small detail is overseen so nothing is left to chance. As a boutique Building Design firm, we have the ability to offer a bespoke solution for every custom home design. We aren’t a standard building design firm and we know you aren’t a standard homeowner. A Building Designer that is as unique as you are- we are Dalecki Design. SilQ Interiors will design and transform your dream Bathroom from start to finish. With a passion for producing work of the highest possible standard our team is proud to have remodeled bathrooms in many of Perth's most exclusive homes and commercial properties. Each bathroom renovation job is carefully planned from start to finish which means a stress free experience for all of our clients and the best possible outcome. To assist this process we provide the services of an interior designer who will offer invaluable advice in regards to selection of tiles, fixtures, finishings and colour scheme. As an integral part of our bathroom renovation service we feel it is important to offer the services of our in-house interior design consultant. Our interior design consultant will be more than happy to offer advice on all aspects of your bathroom renovation from the initial idea through to concept and colour selection. Take advantage of our expertise and experience to enjoy a stress free process with the best possible outcome. At Broadwater Builds, your vision is our mission. 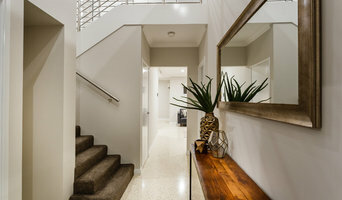 Broadwater Builds is a leading custom home building company in Perth with an established reputation and over 22 years experience, specialising in new homes and home improvements. Whether you have existing plans or need to design your building project from scratch, we can help. We don't compromise on our high standards and we work closely with our clients every step of the way through the building process. Our experience and versatility enables us to manage a diverse range of building projects from million dollar new homes through to bathroom renovations, regardless if our client is seeking a premium specification, budget specification or something in-between. You can rely on us not only for our passion, experience and dedication to your building project, but also our honesty and transparency when you partner with us. Our clients choose us for our attention to detail, open communication, personalised approach and integrity. We look forward to providing the same service to you. Thank you for considering Blend Residential Designs for your upcoming project. We are a Perth based design and drafting practice focusing exclusively on residential projects from small renovations and additions through to new luxury homes, unit developments and everything in between however we offer so much more so let us share some of that information with you. We understand that your home is not only a huge financial investment it’s somewhere you want to feel comfortable, it’s a place that’s practical, reflects your personality and is somewhere you enjoy spending your time. To create a home you love you need to put some love in to it. We take great pride in helping clients bring their vision to life, taking the time to talk through your requirements and work towards the home of your dreams. Our service starts from your initial enquiry and we can guide you all the way through to construction and beyond. We take the time tailor a process that suits your requirements ensuring we deliver your perfect home within your budget. We recommend you send us an enquiry and take advantage of our obligation free meeting with one of our designers so you we can answer any questions you may have or alternatively feel free to give us a call and we can talk through your project together. On The Ball Bathrooms is a leading bathroom renovation company in Perth specialising in adding value to your home. Modern Waterproofing Specialist Family Run Fully Staffed Renovation Team High-Quality Efficient Bathroom Renovations Hassel Free All Perth Suburbs Whether you are looking to modernise an existing bathroom or undergo a complete renovation. On The Ball, offer you a team of competent, reliable and efficient tradesman who have over 30 years combined experience that are yet to find a problem they couldn't solve or renovate. Multi Award Winning Building Designer At Neil Salvia Building Designs, we are committed to excellence. We can not wait for you to experience the difference. The design studio is a one- stop design practice providing building, interior and landscape design to better bring your vision to life. I work closely with you to learn about what you want so you can enjoy a space you'll love to live in. My objective is to provide innovative design taking into consideration energy efficiency, sustainability and cost. Liaising with external colleagues, land surveyors, structural engineers and interior designers allows me to provide my clients with a high standard of documentation. Reach out to multiple professionals — especially for larger projects — and don't settle for the first bid you hear. Comparing multiple Doubleview, Western Australia professionals' bids and experiences can help you find the one that’s best for you. Ask a lot of questions now, so you won't have unexpected answers later. Find a home design professional: Narrow down your search by type of professional and location. Browse Doubleview, Western Australia portfolio photos, read client reviews and contact each Doubleview, Western Australia professional for more information. Check out the information in the specialised professional sections too for tips on how to hire the right professional in 6018 for your project.